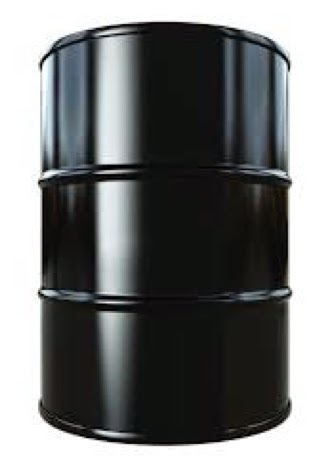 Welcome to QE4; $65 bbl oil! Nothing like cheap oil to help a financial farmer's portfolio. Consider rough "back of the envelope" numbers of 0.25-0.50% GDP increase for each $10 bbl oil fall from $100 bbl oil and we're looking at some very rosy numbers indeed. Frequent readers of this blog know that I've had a Dow 20,000 call on the market for well over a year, specially I'm predicting Down 20,000 by the end of 2016. If we see sustained oil prices below $65 bbl, well my friends, that would imply S&P 500 earnings of around $1250 forward looking into 2016 and even a moderate P/E of 18 yields…wait for it…Dow 22,500. That's nice. The fall in oil prices is in effect a MASSIVE tax cut across the board for: gas-car drivers (still plenty of them around), raw material consumers (read as nearly every major non-financial S&P 500 component), and secondary iterations like logistics, transport, and fulfillment. What's very strange about this existing scenario is given the turbulence in the Middle East many investors would expect $120 to $140 bbl oil right now. Why aren't we seeing this? Two theories come to mind; first, somebody is dumping large quantities of crude on the market at cut-rate prices to raise significant capital. But even that theory wouldn't account for the global sell-off, it's just too amazingly big a move. If we look to classical economics with our good friend Adam Smith, then supply and demand should tell us everything; bottom line there is a glut of oil with middling sustained demand. Combine the oil QE4 scenario with a dovish Fed poised to keep rates low indefinitely and low inflation (except in health care and education, but why measure those when "tons of soybeans" is available?) as well as a political environment almost guaranteeing gridlock and we're sitting on the heels of another bull run higher. 4. A steadily moving higher and higher left to right stock chart is a good thing; the inverse it not.